Our lesson for the first term is on Blood. As a culminating activity, we had Parent-Child Experiment to determine if Blood Type A can donate to Blood Type B or vice versa. This simple experiment will make a child understand the concept. 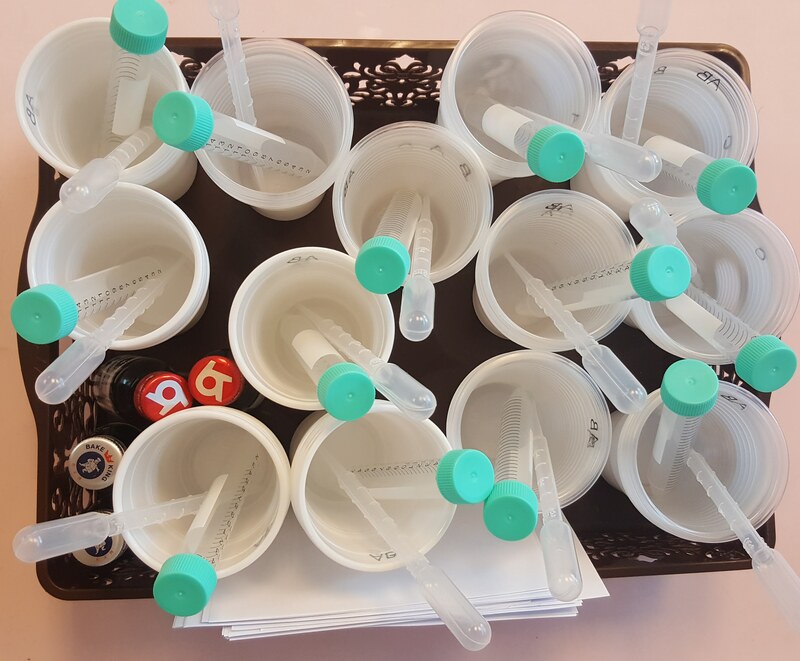 Label all cups (near the rim) with blood type names (A, B, AB, O). Pour water until half on all cups. Add a drop of red food color in Blood A cup. Add a drop of blue food color in Blood B cup. Add a drop of blue and red food color in Blood AB cup. Do not add any food coloring in Blood O. If the receiver is Blood A, then use a dropper to transfer the liquid in a test tube. Then, again use a dropper to add another Blood Type as the donor and see if there is a change in the color. If the color changes, it means that the blood types do not match. Blood O can donate to all blood types. In the experiment, it is colorless. Definitely, it won’t change the color of the receiver when it is mixed together. Blood AB can receive blood from all blood types. Blood A can receive from A and O. Blood B can receive from B and O. After the Parent-Child experiment, the parents and children played Blood Game whereby we called someone who, for example, had Blood Type A, then those parents and children with matching blood types would huddle together. 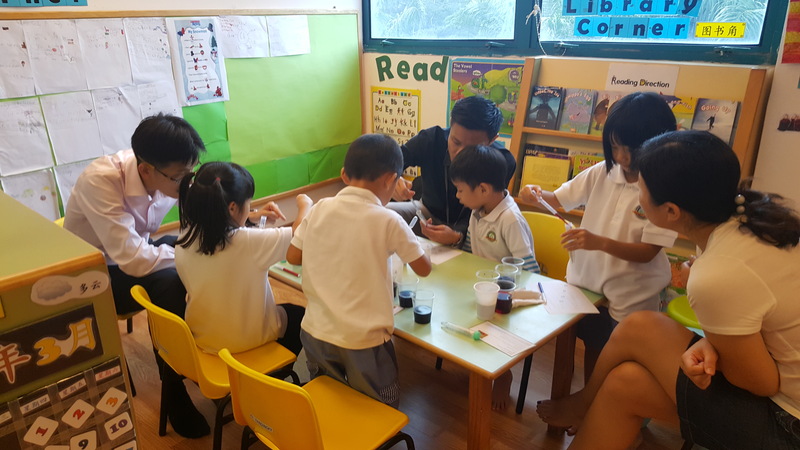 It’s a fun way to make a child understand a challenging topic, and most of all, parents and children were able to spend time together doing a simple investigation!